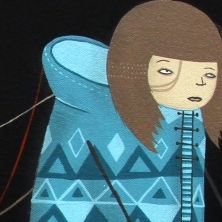 Kyle Hughes-Odgers aka Creepy is an Australian artist. His working approach encompasses a range of mediums – primarily muted, warm acrylics on wood and canvas and large scale street work. 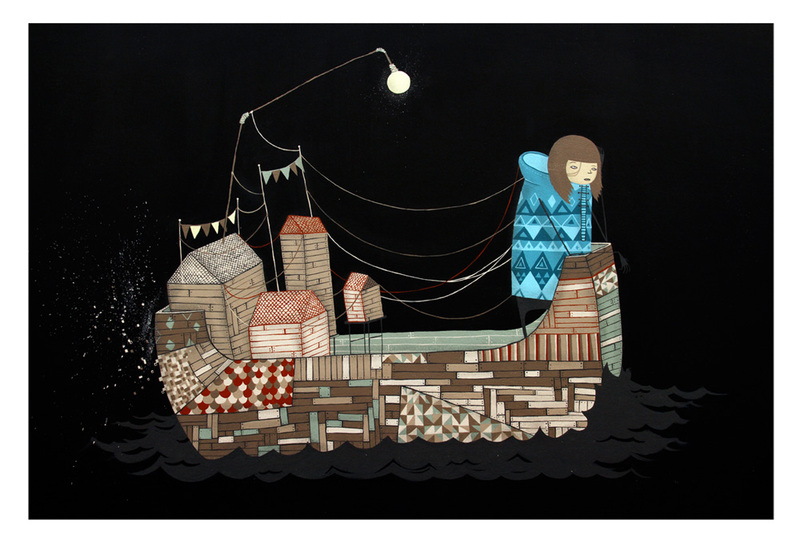 Focusing on ideas of nostalgia and story telling through figurative, pattern and abstract imagery. His work is inspired by ideas of communication, chaos and memory. He has exhibited throughout Australia as well as internationally in Los Angeles, New York and Paris. His street art and installations have been seen across the globe since 2005. His work has previously featured in publications such as Street Art New York (Prestel 2010), Kingbrown, and Empty magazine. In 2010 he completed a solo exhibition at Turner Galleries and a 45m commission for the Murdoch university art collection in Western Australia.